Marnin Young. 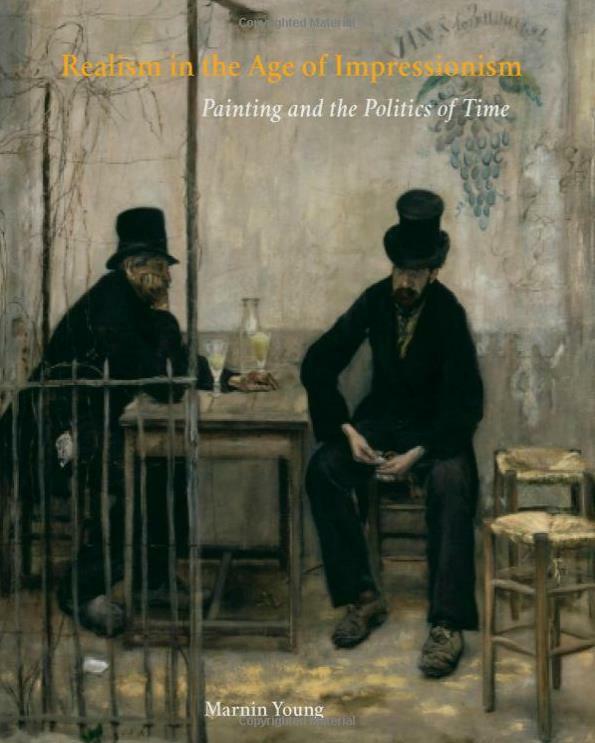 Realism in the Age of Impressionism: Painting and the Politics of Time. Yale University Press, 2015. In his ambitious recent book, Marnin Young, Associate Professor of Art History, examines certain artists of the late nineteenth century who rebelled against a triumphant Impressionism by reviving Academic Realism within a shifting cultural and political context. As the late 1870s and early 1880s ushered in economic and scientific progress, French painting underwent a radical break from its roots at the Academy, the national institute that served not only as the place of formal instruction but the arbiter of public taste and patronage. With photography gaining supremacy over the classic mode of representation, the sterile and static aesthetic of the earlier part of the century gave way to the bold and colorful strokes of the Impressionists. In the face of growing urbanity and measured time—the results of capitalism—these artists used their canvases to express the newly rapid, sensation-seeking modern age. But not everyone followed this trend. Focusing on works by Jules Bastien-Lepage, Gustave Caillebotte, Alfred-Philippe Roll, Jean-Francois Raffaëlli, and James Ensor, Professor Young restores these lesser-known men to rightful prominence. In contrast to the emotionally-charged Impressionists, the neo-Realists re-embraced the Academic tradition to recreate scenes of daily life in a manner that was careful, slow, and detailed. Their paintings aimed to give the sophisticated viewer pause and the opportunity to reflect on natural temporal rhythm within a society undergoing vibrant change. Through an engaging analysis of these artists, the reader gains a deeper understanding and respect for their ideals and achievements, and their attempts to capture an era that was intellectually intense yet was still committed to leisure and private space. Visually rich and masterfully integrated with both commentary by the artists themselves and contemporary criticism, Realism in the Age of Impressionism extolls the indelible mark left by this movement, during its brief span, on Western art.